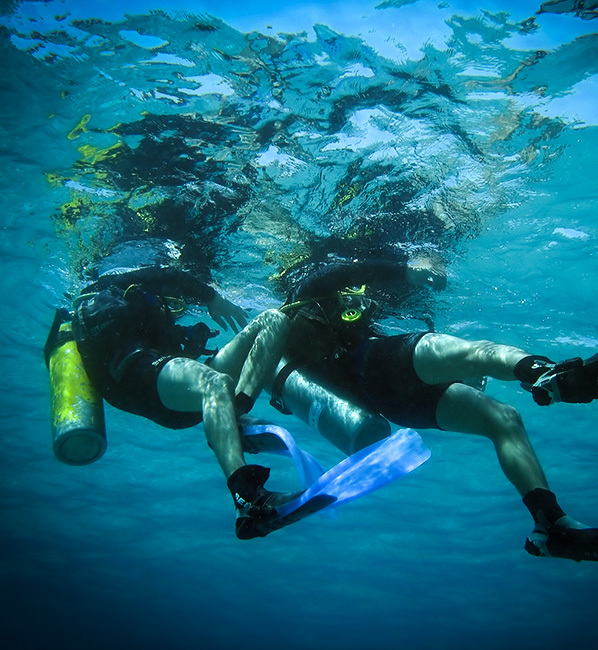 Rewarding and fun best describes the PADI Rescue Diver course. This course gives you valuable hands-on experience in emergency management. You'll learn self rescues, perform diver assists and rescues, manage dive accident situations and render first aid. You will learn to be more aware of your dive buddy and your environmental surroundings. You will be taught the steps required to preform a dive rescue and simulate emergency rescue situations. This course is conducted over two weeknights and one weekend. The first two nights typically start at 6pm and involve classroom work and confined water training. This portion of the course is conducted here at Dive HQ Christchurch. The open water dives will take place in Wainui (Akaroa) or Lake Coleridge depending on weather and includes 4 dives spread over 2 days. Certified in workplace First Aid & CPR. Have own pocket mask and safety sausage. Redundant air systems if you entertain any form of solo diving!